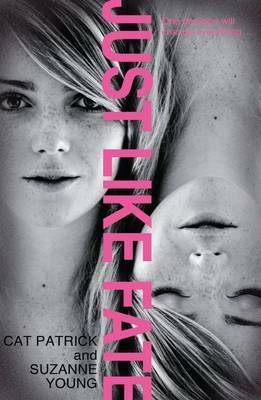 Just Like Fate by Cat Patrick & Suzanne Young concentrates on fate and the ‘what if’ people can think when they make one choice over another. I loved the book for this and it got me thinking about my own ‘what if’s in my life and my feelings towards fate. I don’t want to believe in fate, I don’t want to think that our whole life is mapped out in front of us and we have no say in the decisions we make. I loved Just Like Fate because it showed certain things that relate to my feelings towards fate and it gave us a ‘what if’ option. There have been a lot of decisions I have had to take which obviously shaped my life. Choosing a university was a big one but even bigger was my decision to leave that university after a year and move to a different one. If I never did that my life would have turned out very differently, I would never have made some of the best friends I have ever made, I would never have met my partner and I would never be in the job I’m in now… which I love and hate at the same time on a daily basis! At the same time, the major things in my life probably would have happened, maybe I would have still met the meaningful people I needed to meet like my friends as I have known one of my close group for many years. Then there have been the little ones, the insignificant seeming ones. For example it was a cold, miserable day on December 27th 2008 and I was alone as all my friends (from the second university!) had gone home for Christmas but I had to work. During a break at my job I received a text from a couple of my friends saying their home times were boring and they were thinking about coming back to Preston for a night out that night, was I up for it? Sick of being alone and bored over the holidays myself I accepted. That night I met my partner who I have been with for over 5 years now. I wouldn’t have known this if I had never gone… it was just another night out and that’s what it could have been, maybe fate was on my side that night, or maybe I would have met him at a different time, in a different place because we are meant to be (just an example of my feelings towards fate, I’m not trying to make you throw up!). This kind of thinking is fictionalised in Just Like Fate and I absolutely love that we got to see both outcomes of Caroline’s decision. The huge things, the death of Caroline’s Grandmother and the relationship stuff with her family, they still would have happened no matter what choice she made; yet the little things in between were the things that really shaped her. She was a different person, only slightly but enough, at the end of each of the story arcs. In most books we only get one side, if there’s a choice to be made we only usually see one and where fates concerned we have to run with how the story flows, there are no other options, no other ways of getting to another point and sometimes things can come across as twee or unrealistic. But this is more realistic and lets face it where fate is concerned in reality, things can happen which seem unreal. Things do often just happen and feel like they have happened because they were meant to and I can’t ignore that. I don’t want to believe that our entire lives are mapped out but its hard to say that some things are not just meant to happen and that is what Just Like Fate manages to convey in a brilliant way. Just Like Fate was published on February 27th by Egmont books. There will be a 3 before 3 competition held via the Egmont twitter (@EgmontUK) account next Thursday so head on over there to win a copy of the book!